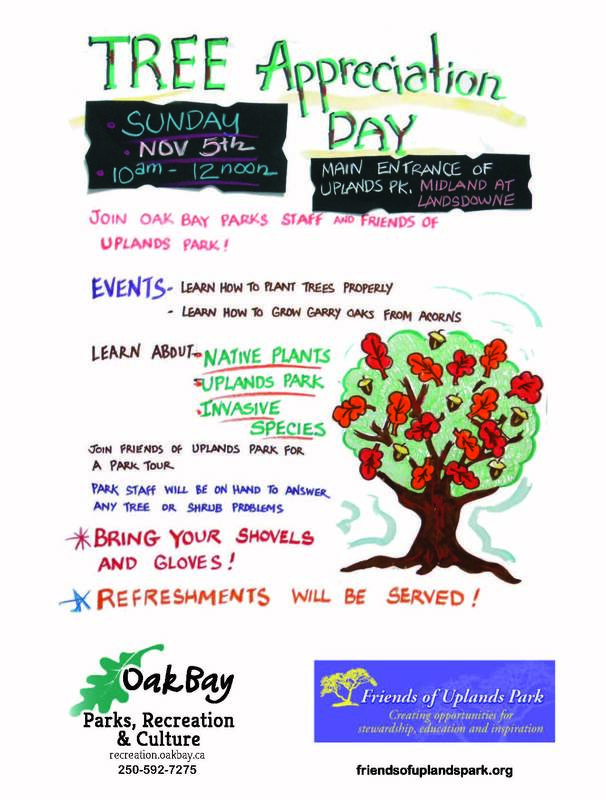 Oak Bay’s Annual Tree Appreciation Day: Sunday, November 5, 2017, 10 – Noon. Uplands Park. Midland Road Entrance. To become a member of the Friends of Uplands Park (FOUP), send an email to the FOUP Chair. Email address is on the FOUP CONTACTS page. There is no fee.